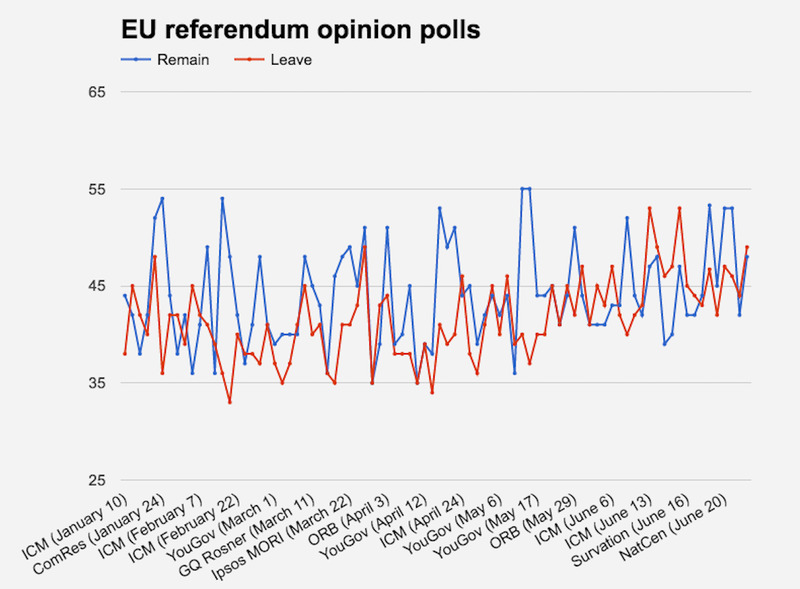 But the latest poll is always the most important, and SurveyMonkey has weighed in claiming its numbers have Leave with a one-point lead. 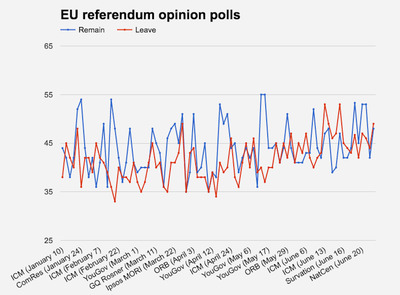 And SurveyMonkey was one of a tiny handful of groups to correctly predict the 2015 UK general election outcome. But there’s a couple of things to note – there’s still several polls showing Remain will win and even if Brexit does get up at the polls, there’s a good chance the UK government will ignore it and remain in the EU anyway. 2. Follow the money. It’s obvious now traders are in the Remain camp and overnight they sent the pound to its highest level for the year. That dragged the Aussie dollar off its own six-week high at 0.7512 and it’s back in the mid-74 cent region this morning. It looks like confidence in Britain remaining in the EU helped the SPI 200 September futures rally 15 points suggesting the ASX 200 will open in the 5290/5300 short term resistance zone it pulled back from yesterday. Austria and Italy have recently courted far-right heads of state. And in the next year, Spain, the Netherlands, France and Germany all face a general election. Tensions are simmering everywhere and with political uncertainty comes economic instability. Greg McKenna, wearing his best trading suit, said he’s sitting this one out. 5. What the headline says: “Teens are getting almost all of their news from Snapchat and Twitter these days“. What the headline means: “Teens are getting almost all their news from their woefully uninformed friends”. Zuckerberg posted the photo on Tuesday to celebrate Instagram growing to 500 million users. 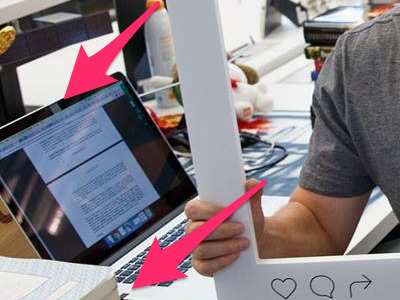 But that little bit of sticky tape over his laptop camera means he’s in the same camp with other hacker luminaries such as FBI director James Comey and NSA whistleblower Edward Snowden. 7. 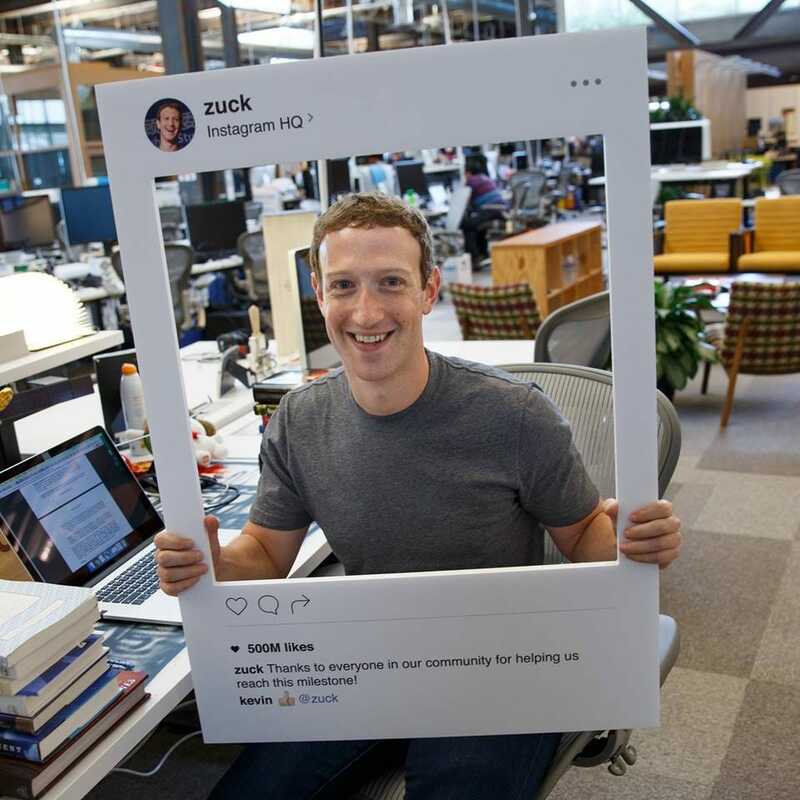 Meanwhile, you might have noticed your friends posting pictures that move around when you move your phone around. 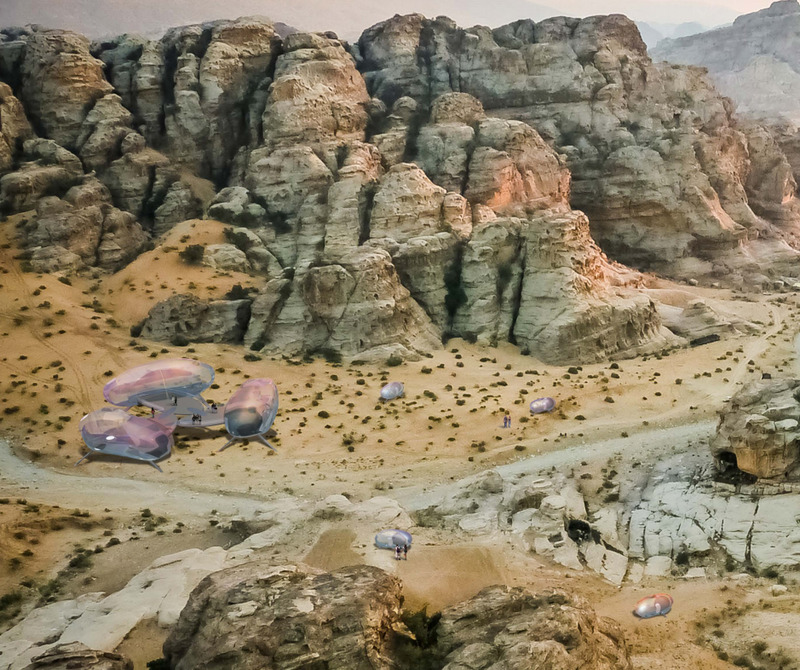 It’s Facebook’s awesome new 360-degree feature. It’s incredibly easy to take one and post it yourself. Here’s how. 8. Do you want to know what the worst pants a man can wear are? Pleats, according to a bunch of people on reddit. Should you care? No, and here’s why – this post starts by telling you not to wear pleats. By the end of the post we’re getting examples of how pleats are back in. That tells you all you need to know about whether you should let other people tell you what to wear. Congratulations Ben. The Draft takes place on Friday. 10. Oh, concepts. Here’s another thing that’s about as likely to happen as a Brexit or Greg McKenna wearing pleated pants. A new futuristic hotel concept called Driftscape from Canada-based design firm Hok, is one of three finalists for this year’s Radical Innovation Award, a contest that searches for imaginative hotel designs. 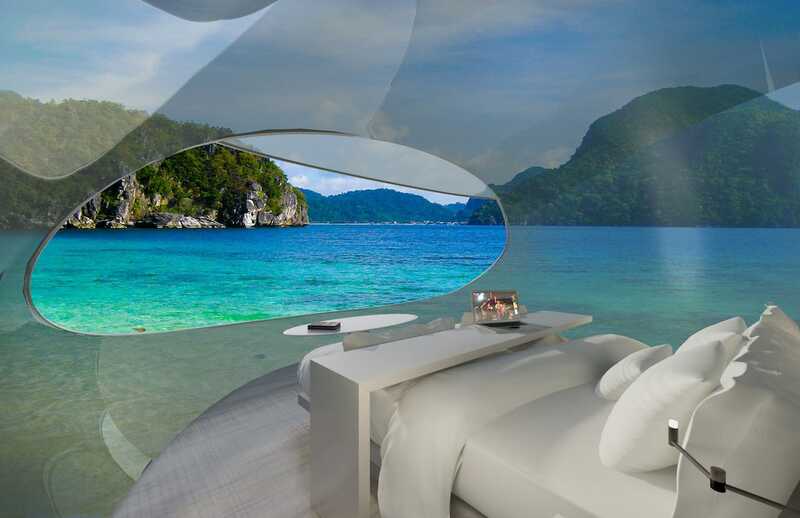 Hok’s Driftscape imagines a day when you can be luxuriating in one of its hotel rooms, and the room just ups and flies away! Each pod would also contain “a dashboard with a camera” so you can take snaps and post them to your Insty! How good is the future going to be?